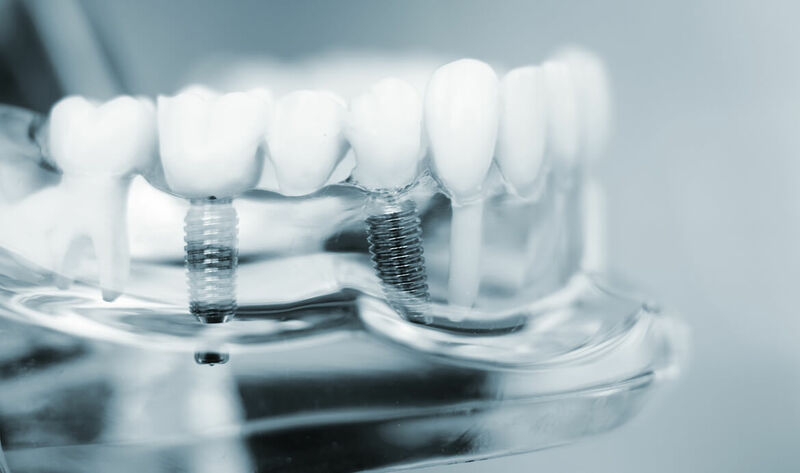 “All-on-6″ is a dental implant procedure where a prosthesis is attached to the jawbone, much like the very popular “all-on-4” method, however, the prosthesis is supported by six dental implants rather than four. All-on-6 is primarily suited for patients with more limited bone tissue – this is because more stability is required for the implants which will support the new set of teeth. All-on-6 is a treatment for people with damaged or missing teeth and provides a complete dental prosthesis as a replacement to these damaged or missing teeth. This type of treatment is very popular and recommended by experts – it takes much less time than most other procedures, it requires fewer surgeries than conventional implants, bone grafts are virtually never needed, and the overall placement and healing process is far swifter and easier. The procedure is so swift that it only takes a single visit for completion, then after just one week, the patient can enjoy a new smile. Clínica Dr. Erick Rivera is located in Sabana, San Jose, Costa Rica, meaning we’re situated very close to Escazú and Santa Ana. It’s a great location, very close to popular tourist regions with many hotels, should you be travelling to the area and need to stay while you receive your treatment. Our location has the added benefit of being just a 15-minute drive from the Tobías Bolaños International Airport, making us extremely accessible to locals and tourists. Our service is truly available to everyone. We’re so confident in our services that they come with a lifetime warranty – if a patient were to experience a problem with their implants, they would be attended to at no extra cost and any required procedure would be performed at no extra cost. We also give patients the option of having their implants made entirely from zirconium (a metal which can be colored) and porcelain. This adds to the longevity of the treatment as it reduces wear and tear on the dental pieces. Many people believe this option to be more aesthetically pleasing, however, it does require two visits. You can rest assured in the knowledge that you’re receiving the very best treatment available. We’re proud to say that our entire staff has training and working experience at some of the most reputable medical and dental institutions in Costa Rica and the surrounding countries. Our founder, Dr Erick Rivera, has over a decade’s experience himself and studied at the Pontificia Universidad Javeriana, in Bogota, Colombia. We pride ourselves on only using the very best of brands; all our materials are from the US and are approved by the Food and Drug Administration (FDA), so the quality is indisputable. If you’d like to learn more about our all-on-6 service, get in touch with us or come and pay us a visit if you’re near Escazú or Santa Ana.